VWVortex.com - AHU DBW pedal...can I use a mk4 DBW pedal instead??? AHU DBW pedal...can I use a mk4 DBW pedal instead??? Thread: AHU DBW pedal...can I use a mk4 DBW pedal instead??? I'm putting an AHU into a mk1 for a friend and the drive by wire from the donor 98 Jetta TDI is massive. Now I have a pedal from a mk4 1.8t that also has six wires but I'm not sure if they will be compatible. The mk4 pedal would be WAY easy to make fit. Any advice from someone who may have invented this wheel already? yeah the pedal connectors are different which is why I ask. The ground wire is the same but no other colors are similiar. I plan to get the car wired and then crank up VAGCOM and watch to see if the Throttle angle changes while I move the pedal. well I just jumped in last night and figured it all out. After a few mods to the pedal itself, VAGCOM registered the pedal and showed 0 to 100%. Anyway...perhaps this may help someone somewhere...here is how to do it. Cut the pig-tail off the factory mk3 DBW unit. 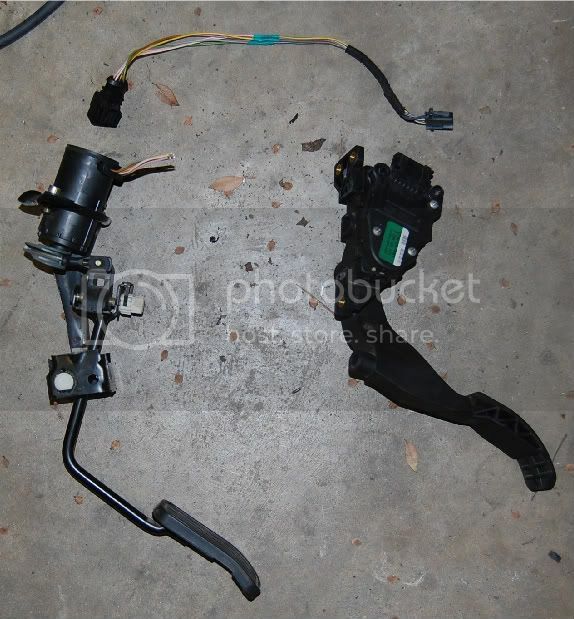 Find a donor mk4 pedal and cut the pigtail from the harness. 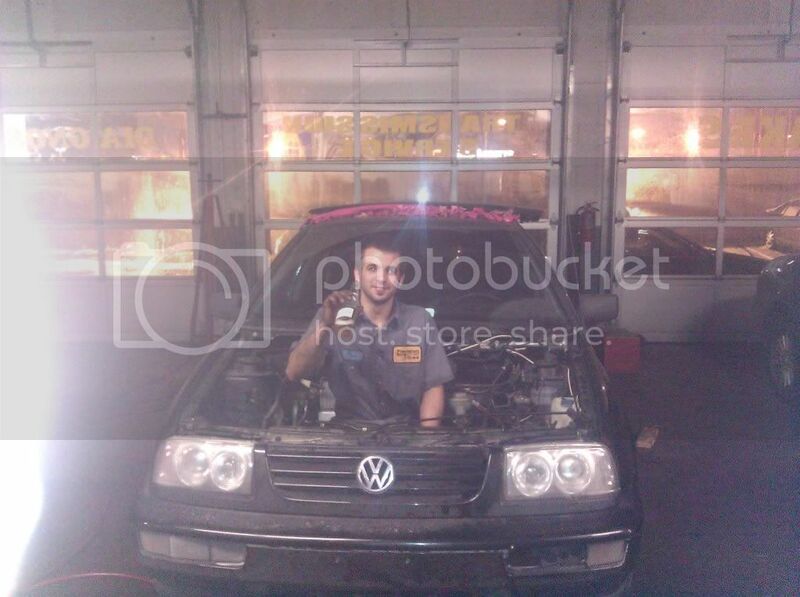 My donor was an 01 Jetta 1.8t. So with the two pigtails in front of you, wire like so. 6 - Brown/Blue -> 6 - Yellow. After I turned on vagcom I noticed that the pedal registered no lower than 7.5% even when adjusted to the lowest setting. I had to modify the housing on the mk4 pedal slightly to allow the potentiometer to go down to 0.0% After that the pedal showed smooth movement through vagcom. In the picture below you can see the massive and antiquated mk3 DBW pedal. It looks much worse that this before you cut all the metal away. On the right you see the mk4 pedal. Much nicer package. Above you can see the mk3 to mk4 plug and play harness. The left side was cut from the mk3 DBW unit and will plug right into the car. On the right of the harness is the pigtail from any DBW mk4. if anyone cares, I can show a picture of the bracket that I welded up that is a BOLT in piece to use a mk4 pedal. im not sure if id ever do this anytime soon but sure, post it up. Just wanted to say thanks to the OP for posting this up. A couple of years later, it's answered the exact questions I had on doing the same thing. South Africa Citi Golf Challenge - Starts January 28th, 2018! post away homie, i want to see! Has anybody used the b4/mk3 tdi pedal on a Mk4 engine swap?